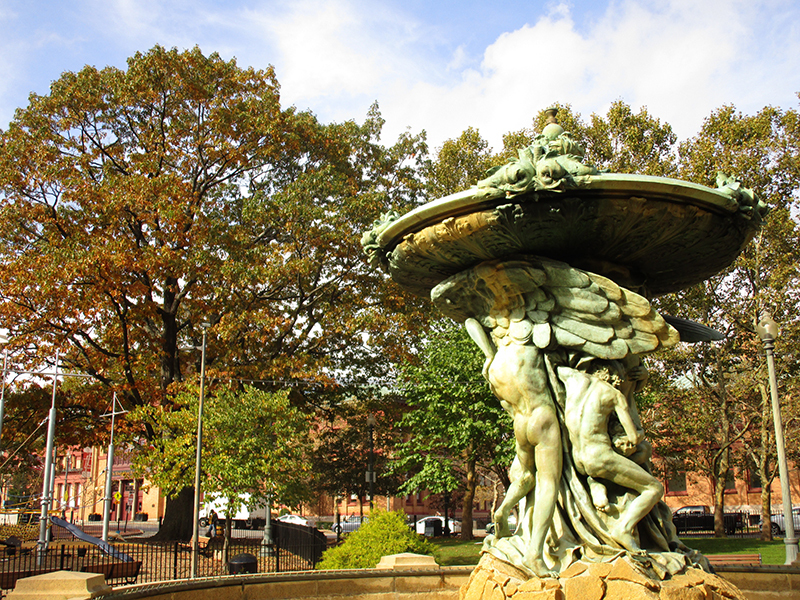 Providence is home to over 180,000 people, and though it may sometimes feel small and crowded amongst the buildings, streets and alleyways, it also provides us with 116 parks and green spaces in which to free ourselves. Parks are not only safe and beautiful, but also serve as green engines to help address the critical need of education and environmental justice. Aside from these benefits, urban parks can also improve the health of the citizens who live and work in the city. Actually stretch your legs. There are more and more reports on the dangers of sitting too long, so even just getting up to walk to another room to eat is important. However, giving ourselves the chance to soak up some Vitamin D and getting some fresh air can do wonders for the body and spirit. Take a real break. Breaking from work for five minutes to chow down our lunch on the desk doesn’t count. In order to get a period of true respite, the “break” has to involve an actual break from work. Getting put and paying mind to the different environment can help us refrain from doing, and thinking or talking about work and recharge our brains. Give your eyes a rest. This saying shouldn’t be taken lightly. By engaging in different conversations, walking, and taking the time to enjoy our meals, we also honor the effort to stay away from our computers, tablets, and phones– which often constitute so much of our jobs. Renew your energy. A 2015 study done by researchers at the University of Birmingham, in which employees of a corporate company went out for walks during their lunch breaks, showed the workers felt considerably more enthusiastic, less tense, and generally more relaxed and able to cope than on afternoons when they hadn’t walked outdoors. Looking at it this way, a lunch break stroll not only fuels our motivation to power toward the end of the day, but also gives us something to look forward to in the morning. What we do during our midday break may vary depending on your job, company culture, or personal priority, but truly taking advantage of the dozens of green spaces our city provides can do great things for our mental and physical health, help us get to know our city better, as well as support all the ones who make these green spaces possible. You can learn more about the benefits of getting outdoors on this post.